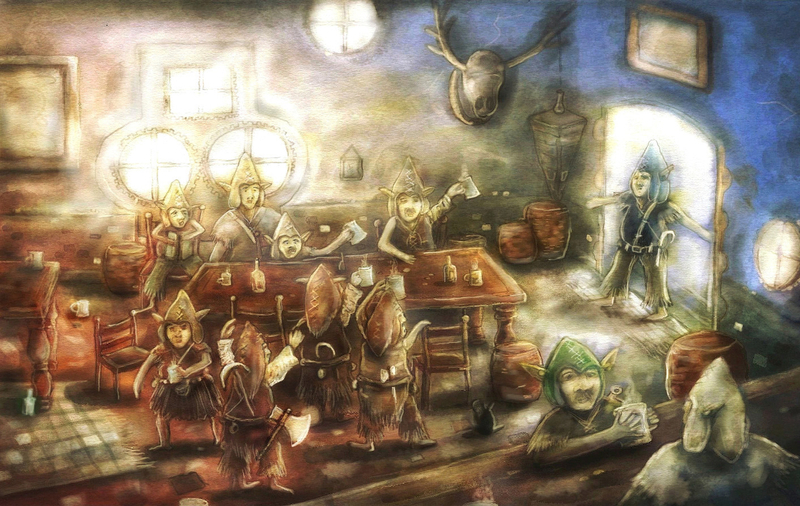 I always whant to portrait a place where dwarfs socialize and interact with each other. i made a watercolor study and beguin working with colors with Mypaint adding color since the watercolor only have one to better control. i switch between aps with the use of ArtrageStudioPro and Gimp.